BERLIN (Reuters) -- Volkswagen is looking at ways to cut costs and boost cash flow and could sell more shares if the price of clearing up a scandal over its rigging of diesel emissions tests puts its credit rating at risk. The German carmaker's supervisory board has discussed ways of strengthening its finances, but has not talked about selling assets or brands, two sources close to the board told Reuters. One said raising money by selling shares would become likely if the cash costs of the scandal exceeded a "critical level," without elaborating. Europe's largest carmaker has admitted cheating in diesel emissions tests in the United States and Germany's transport minister says it also manipulated them in Europe, where Volkswagen sells about 40 percent of its vehicles. The biggest crisis in the company's 78-year history has seen its shares plunge more than a third in value and forced out long-time chief executive Martin Winterkorn. It has also sent shockwaves through the global auto industry and the German establishment, which has for years held up Volkswagen as a model of the country's engineering prowess. The company has set aside 6.5 billion euros ($7.2 billion) to help cover the costs of the scandal, but some analysts think the final bill could be much higher. Volkswagen has said it will refit up to 11 million diesel vehicles containing software capable of cheating emission tests. It also faces potential fines from regulators and prosecutors, lawsuits from consumers and investors, and a possible hit to sales and prices from the damage to its reputation. The sources said the board was worried that, without boosting its finances, its credit ratings might be downgraded, leading to higher borrowing costs. 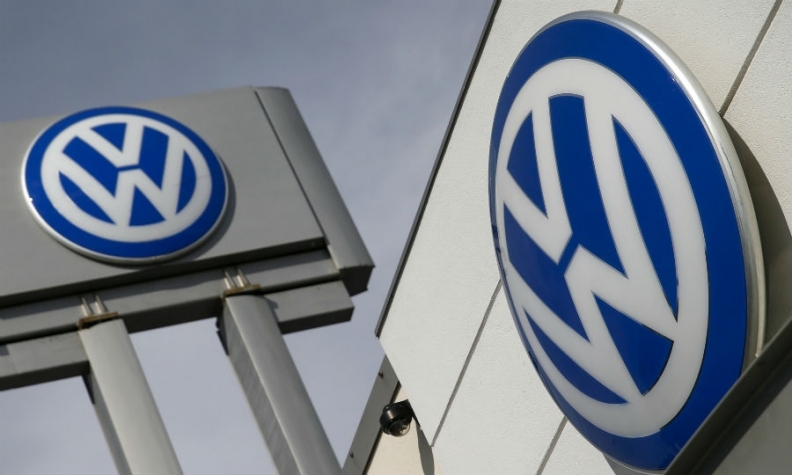 Moody's, S&P and Fitch have all put negative outlooks on their credit ratings for Volkswagen, meaning they see a risk they might have to be cut. "The company has a fairly robust balance sheet -- but also has a very conservative approach to financing and its credit rating," Bernstein analyst Max Warburton said in a research note this week. "We believe that if the cash costs exceed 10 billion euros, a capital raise is highly likely." Warburton noted Volkswagen had 17.6 billion euros ($19.6 billion) of cash at the end of the second quarter, plus 15 billion euros of marketable securities. But he also said it had suggested in the past that it needed a minimum of 10 billion euros in net cash to run the business. Under existing company rules, Volkswagen could issue about 8 billion euros of preference shares, which do not carry voting rights, Warburton said. Beyond that level, it might have to issue ordinary shares, which could require the Piech-Porsche families and the German state of Lower Saxony -- the company's two largest shareholder groups -- to stump up cash. At an auto industry conference in Berlin, the mood was sombre, with the newly-appointed sales chief of Volkswagen's namesake brand and its head of future research pulling out. "This (scandal) is causing damage to the entire German car industry and to German engineering," Helmut Kluger, publisher of trade magazine Automobilwoche, told delegates. "There is no excuse whatsoever for the VW cheat. Toyota will remain the world's largest carmaker in the foreseeable future, that's clear now," he added, referring to Volkswagen's goal -- achieved in the first half of this year -- to overtake Japan's Toyota to become the world's biggest selling carmaker. There is no evidence to date that other carmakers have used the same "cheat" software as Volkswagen. But the industry fears more costly regulations and a hit to sales of diesel vehicles. Klaus Froehlich, development chief at German rival BMW, told the conference the software used by Volkswagen was a "no-go" for his company. It was not all gloom, though. A project manager at a diesel engine component maker who declined to be named told Reuters he expected "lucrative" business from servicing Volkswagen cars. Volkswagen, which is already implementing a 5 billion euro cost savings program at its VW brand, imposed a hiring freeze at its financing arm and cut a shift at a German engine factory on Tuesday, in a sign it is bracing for a blow to its business. But the bad news keeps coming. France and Australia have joined other countries in launching investigations into Volkswagen, while an Italian consumer group has filed a class action lawsuit, accusing Volkswagen of deceiving car owners and potentially harming the environment. A Texas county has also sued the company, accusing it of violating state environmental laws and seeking up to $25,000 in damages per violation per day. New CEO Matthias Mueller, a company veteran appointed on Friday to replace Winterkorn, is under huge pressure to get to grips with the scandal. The company has hired U.S. law firm Jones Day to lead an external investigation, a source close to the matter has said. The external probe is a key demand of some investors who have been critical of the board's decision to continue appointing insiders to top jobs in the wake of the crisis. Some analysts have suggested the company might sell off its trucks business or some brands such as Bugatti, Ducati and Lamborghini to raise money.